Officially licensed Magic: the Gathering playmat featuring “Bouncing Beebles” artwork by Magic: the Gathering artist, Jeff Miracola. 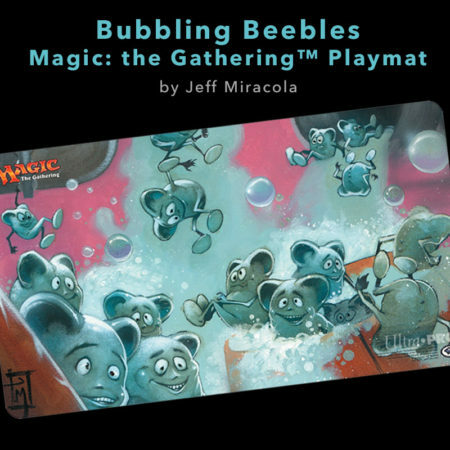 This playmat, signed by the artist, is limited to a printing of only 100. 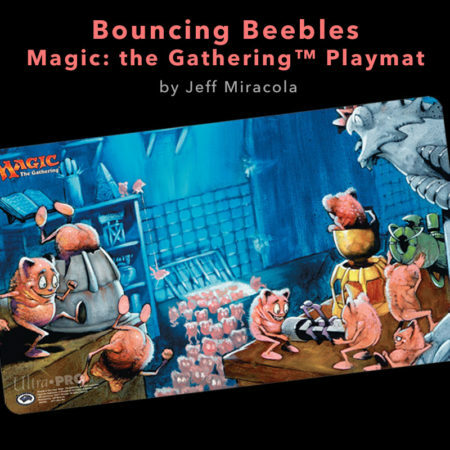 These high-quality playmats are produced by UltraPro® and feature a premium fabric top to prevent damage to cards during game play. Rubber backing lets the playmat lay flat and prevents the mat from shifting during use. This item is shipped in a padded envelope.